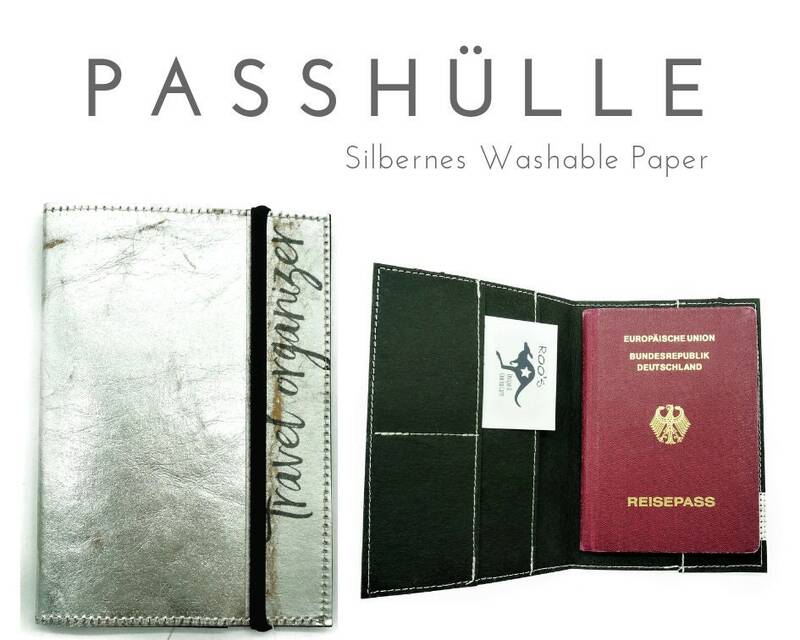 Silver passport case for passport & Co. from Washable Paper. 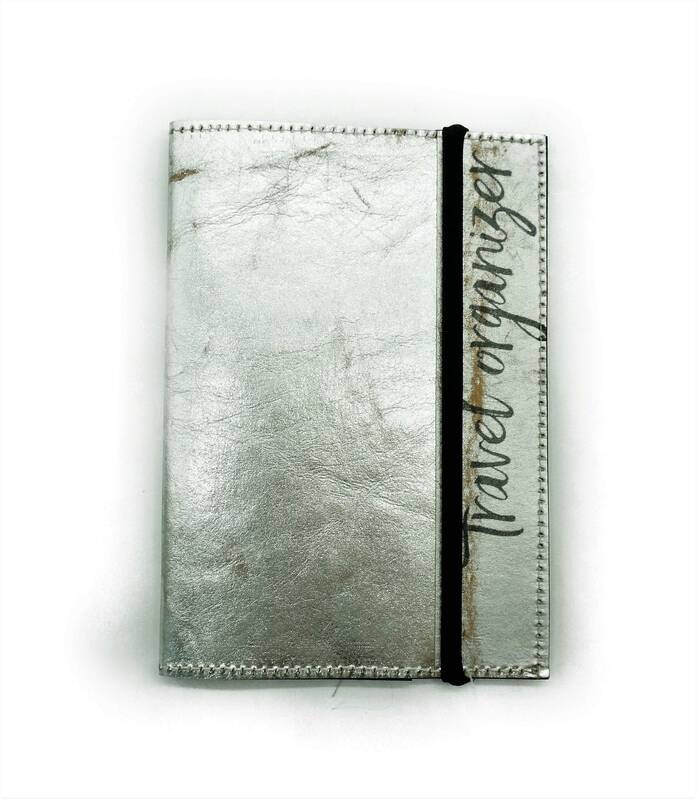 What's special-the print "Travel Organizer" on the front. 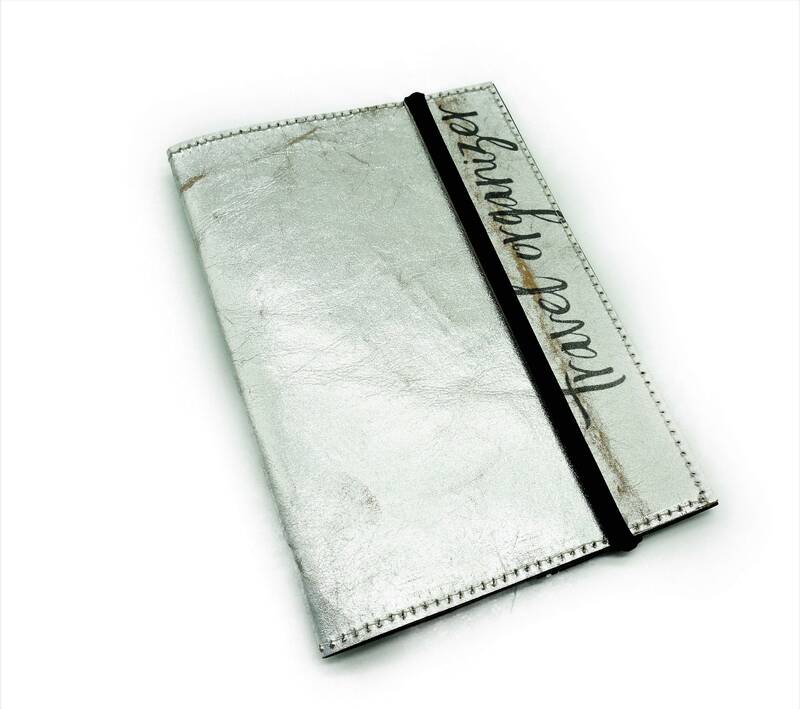 The small wallet is sealed with a black nylon rubber band, which can be easily pushed to the side to open. 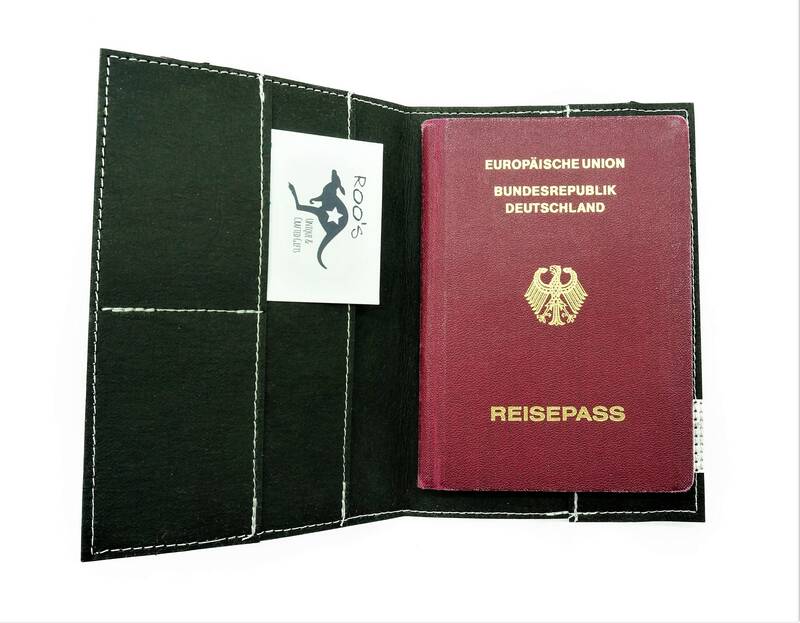 The case in the format 10 cm x 15 cm offers space for a passport, as well as identity card, driver's license, credit card, or business cards, etc. 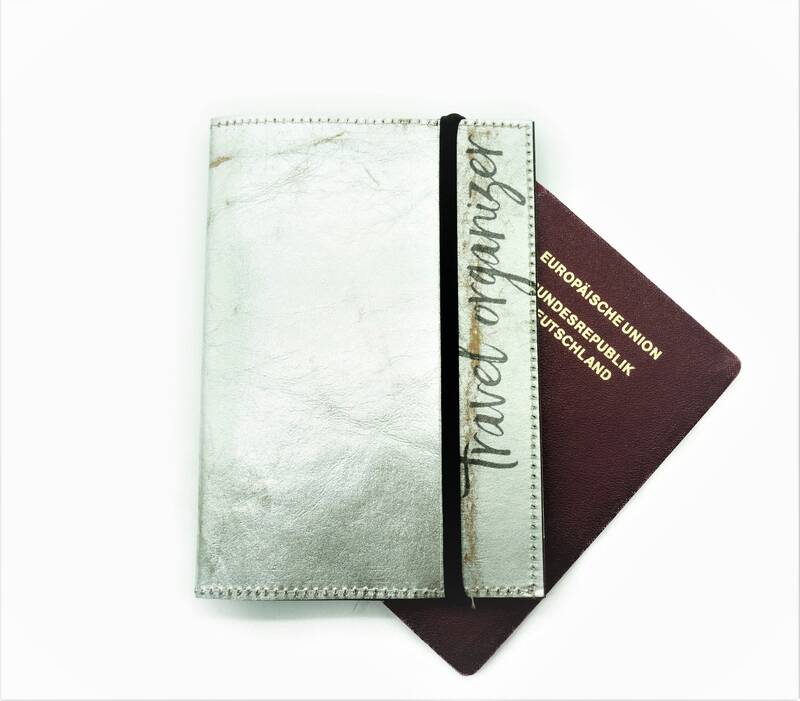 A great gift for everyone with wanderlust!